Just add this video to your Xmas cheese board! Merry Christmas and big bellies to everyone. Merry Christmas all you Taffers around the world. Love this community. Let's keep it alive for many years to come. 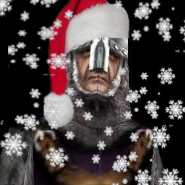 Merry Christmas, Purgator (and everyone) ! Nice video! Love the video, Purgator! Merry Christmas everyone! Merry Christmas! Warm wishes of joy and love to you all! Thank you, Purgator!...May your heart be light and bright! Wishing you all a peaceful and jolly Christmas. Hope all you Taffers out there had a wonderful Christmas! Now on to the New Year! Have fun and be safe everybody! I hope you've had a fine, merry Christmas and I wish you all the best in this new year. Thank you for the video, it's lovely !